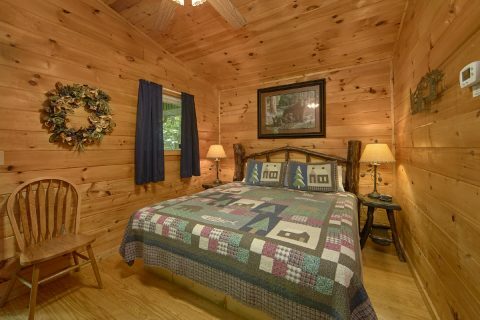 Come stay in this Honeymoon Gardens Pigeon Forge cabin near Dollywood with a game room, hot tub, fireplace, and more! 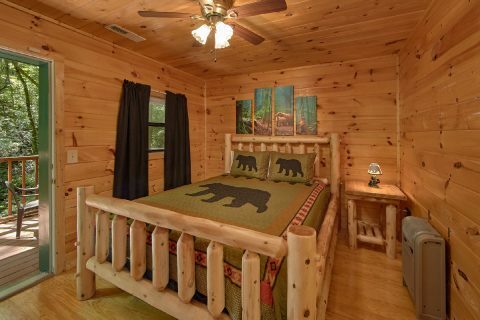 Located in Honeymoon Gardens Resort in Pigeon Forge, "Grin-N-Bear It" places vacationers near Dollywood, Downtown Gatlinburg, and the area's most popular attractions, shows, and restaurants. 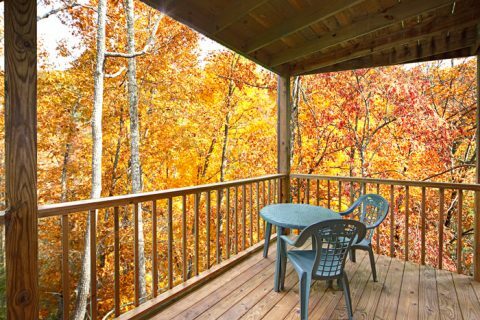 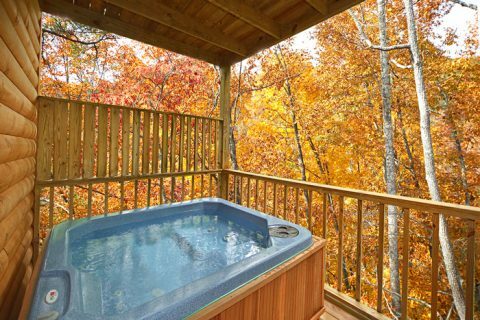 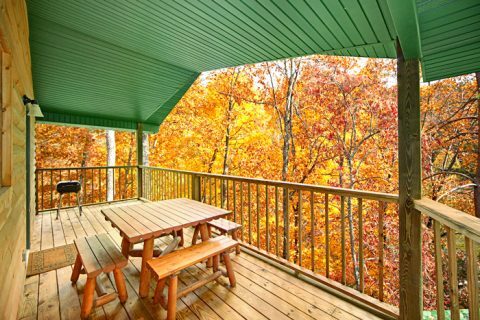 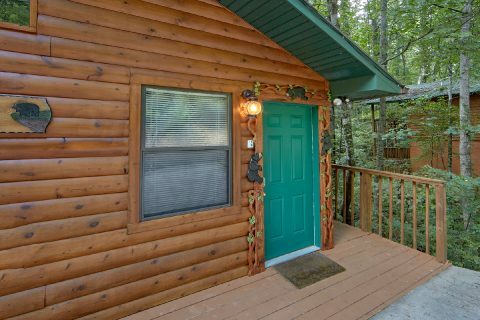 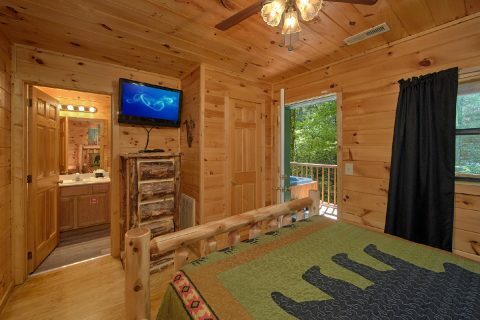 This wonderful 2-bedroom offers couples a honeymoon cabin or a highly affordable Smoky Mountains getaway for families needing space for up to 7 guests. 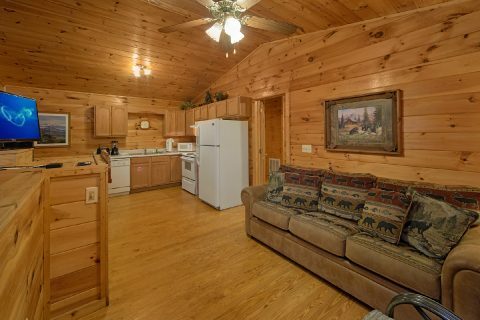 This cabin's comfortable living area is the perfect place for relaxing with the people who matter most. 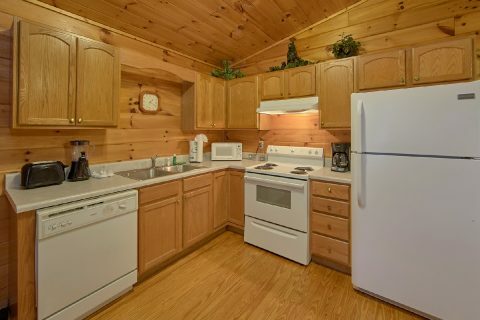 Grab some popcorn from the kitchen and make it a movie night! 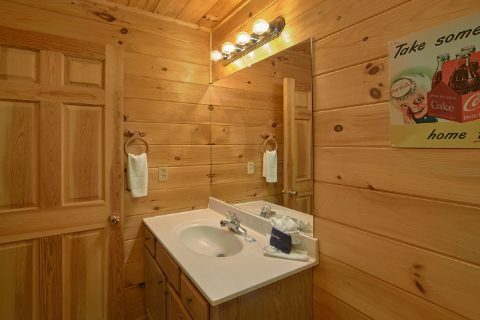 After the movie, why not take in some relaxing moments in the warm waters of your hot tub or have a cookout on the cabin's charcoal grill? 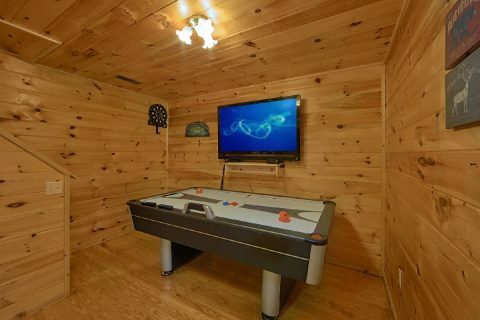 You can keep the fun going in your cabin's game room with an air hockey table. 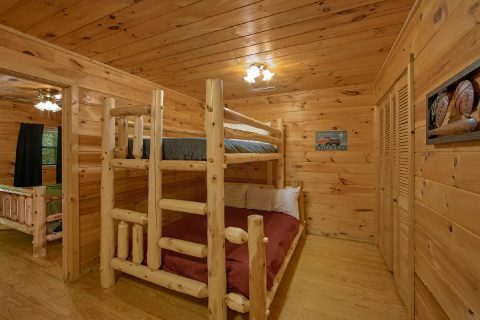 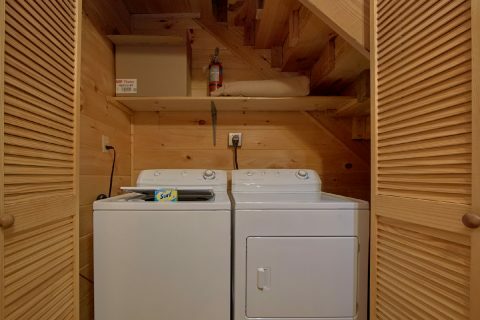 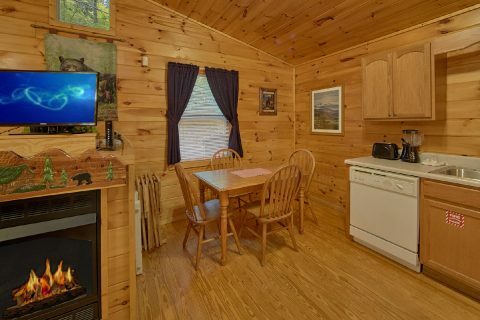 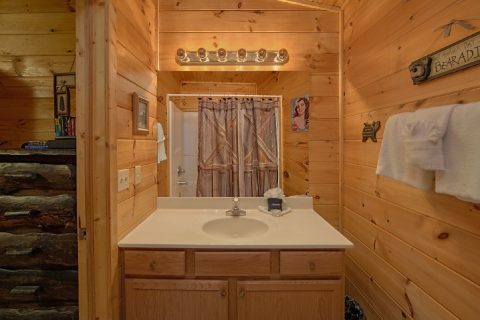 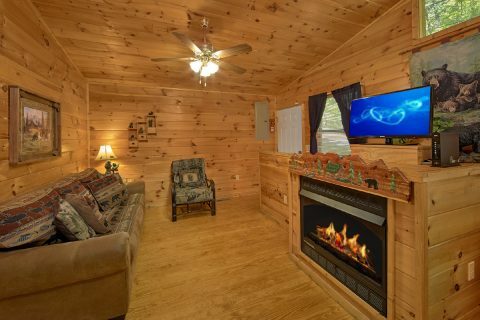 Other amenities offered by your Pigeon Forge cabin near Dollywood include a king bed, a queen bed, a bunk bed with a twin and a full bed, two full baths, electric fireplace, dining table for 4, televisions in several rooms, and a washer and dryer. 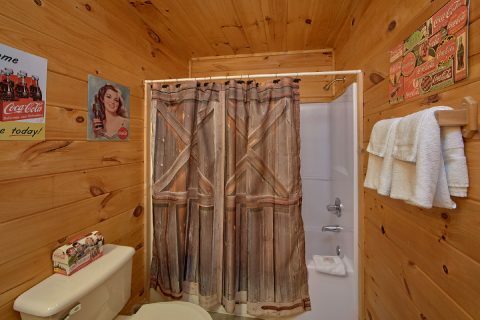 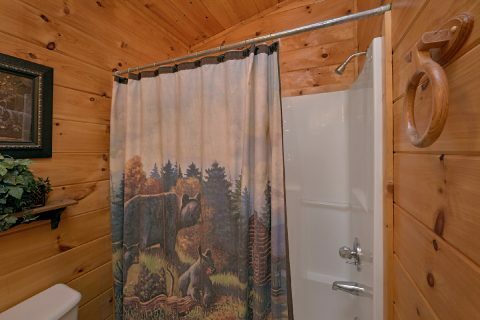 If you've been searching for an affordable Smoky Mountains getaway in the center of all the fun, "Grin-N-Bear"-It cabin is for you! 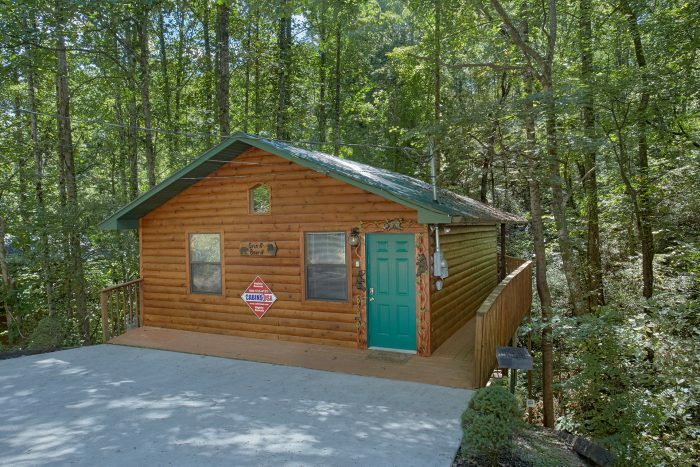 Book your Honeymoon Gardens Pigeon Forge cabin near Dollywood online with Cabins USA Gatlinburg to get your immediate Online Cabin Special!